and currently am in; ..."
NOTE: Beginning 04-January-2013, the litigation around Jordan Maxwell and the rotten Dolezal deal became extremely protracted and convoluted because in the case LC099418 the primordial and foundational source of contention, the Dolezal Assignment of Intellectual Property, was not there. Therefore, the judge could not make sense of the case and dismissed without leave to amend. Strangely, the Dolezals and their attorney Carolyn C. Phillips avoided putting the Dolezal assignment document in the case. Had Phillips and the Dolezals put their document in the case, they would've expedited and clarified matters regarding the merits and lawfulness of their document and its circumstances. After dismissal, the case was taken up on appeal. Phillips and the Dolezals lost on appeal. Lengthy litigation continued with the Dolezal assignment document finally making it into court (much later), where it was determined the Dolezals were misstating (to say the least) the assignment's force and effect, and lawlessly enforcing it. That's why Phillips and the Dolezals did not put the Dolezal assignment in case LC099418. Phillips and her opposition Maxwell had one thing in common. Phillips got rid of the Dolezals as clients during litigation because they don't pay, but far more quickly and easily than Maxwell. The Dolezals riveted themselves to Maxwell to engorge the proceeds of his name and work. NOTE: The Dolezal-owned company MOMENTUM DEVELOPMENT LLC is BANKRUPT (total liabilities: $315,885.00) after suing DCA DRILLING AND CONSTRUCTION INC and LOSING (Search — Ventura county Superior Court, Case 56-2014-00458003-CU-BC-VTA) on 04-May-2018. Chapter 7 Bankruptcy records for Case 1:18-bk-11538-VK (Search — UNITED STATES BANKRUPTCY COURT, CENTRAL DISTRICT OF CALIFORNIA), filed 03-July-2018, indicate attorney Carolyn C. Phillips is owed $80,000.00, and DCA DRILLING AND CONSTRUCTION INC is owed $200,000.00. NOTE: Josef John Dolezal [see joedolezal.com] is BANKRUPT (total liabilities: $371,173.00). Chapter 7 Bankruptcy records for Case 1:18-bk-11460-MT (Search — UNITED STATES BANKRUPTCY COURT, CENTRAL DISTRICT OF CALIFORNIA), filed 03-July-2018, indicate attorney Carolyn C. Phillips is owed $50,000.00, and DCA DRILLING AND CONSTRUCTION INC is owed $210,000.00. Also, in case LC099418 there was no court reporter, meaning lack of due process for Maxwell. The Court of Appeals of California wrote, "We remain profoundly concerned about the due process implications of a proceeding in which the court, aware that no record will be made, incorporates within its ruling reasons that are not documented for the litigants or the reviewing court." This website has NO AFFILIATION with Jordan Maxwell. and may be subject to errors or omissions. for the accuracy or validity of the information provided. In a Los Angeles courtroom in August 2012, in a case based on false claims brought by the Dolezals of the Czech Republic, but really about vindication for a barrage of pejorative profanity earlier directed at one of them concerning his prodigious and invincibly sloppy stupidity, the Dolezals, employing that same knee-jerk stupidity, found their case not going very well for them at all, no matter how much they talked, which ended with a Dolezal son losing his composure in exasperation before the court. The elder of the Dolezals, was left utterly befuddled and confounded, looking like, "What just happened? ", given the ruination of their scheme to teach a lesson to, and extract money from, a nemesis contemptuous of them. There, the Dolezals — Josef Dolezal, Sr., Josef John Dolezal, and Jakub Richard Dolezal, the three appearing as MOMENTUM DEVELOPMENT LLC — presented to that court an assignment document they testified to writing and making Jordan Maxwell sign. Jordan was in that courtroom, and the court eventually named him as an additional defendant because the Dolezals began their case by putting in writing, under penalty of perjury, that Jordan Maxwell was their "former Momentum Development employee". The Dolezals testified they had to keep hiring, firing, and putting 69-something-year-old Jordan on probation, hence the Dolezals making Jordan sign their assignment document. The facts were, circa mid-2009, Jordan was approached by a Dolezal claiming to be a fan of Jordan's work, and 68-year-old Jordan felt technically incompetent with computers, so circa September 2009, with an unwritten gentlemen's agreement, he let the Dolezals maintain and update his already existing website (jordanmaxwell.com) and mail product from that website for an ongoing, very generous 50/50 split of the gross proceeds from Jordan's many years of difficult work — no hiring, firing, or probation required. Jordan said he was shocked to hear for the first time three years later the Dolezals stating under penalty of perjury the Dolezals had to keep hiring, firing, and putting him on probation. The Dolezals presented no evidence of any employment or an employment agreement. They were brazenly lying in open court. NOTE: The Dolezal-owned company MOMENTUM DEVELOPMENT LLC is BANKRUPT (total liabilities: $315,885.00) after suing DCA DRILLING AND CONSTRUCTION INC and LOSING (Search — Ventura county Superior Court, Case 56-2014-00458003-CU-BC-VTA) on 04-May-2018. Chapter 7 Bankruptcy records for Case 1:18-bk-11538-VK (Search — UNITED STATES BANKRUPTCY COURT, CENTRAL DISTRICT OF CALIFORNIA), filed 03-July-2018, indicate DCA DRILLING AND CONSTRUCTION INC is owed $200,000.00. The Dolezals dismissed (LOST) that case (search — Los Angeles Superior Court, Case 12V03383) given the ignominious results of their first performance in court, and the court's dubious reaction to their testimony (false claims). However, because of that assignment document, the Dolezals, as if they were in a master-servant relationship, with Jordan as servant in regards to his property, lawlessly spend YEARS ORDERING and COMMANDING Jordan Maxwell (and others), under pain of legal threats, to CEASE using his OWN NAME and to RESTRICT his speech and appearances in media and public. This caused by then 73-something-year-old senior Citizen Jordan Maxwell economic ruin, after people refused to work with Jordan upon receiving numerous bogus threats of lawsuits from the Dolezals, who were seeking to alienate Jordan from his name, identity, livelihood, and property. The Dolezals, under the direction of Josef Dolezal, Sr., devoted years to stalking, monitoring, and interfering with Jordan's activities, speech, and appearances. Jordan's audiences were left wondering about the man's resulting near-total absence from public view. The US Trademark Office; Los Angeles Superior Court; and UNITED STATES District Court, Central District of California, say the Dolezals are wrong. 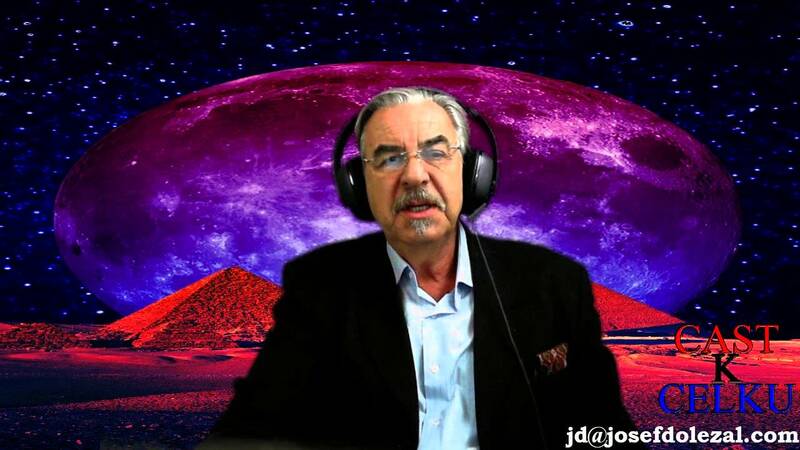 01) On the basis of the unwritten gentlemen's agreement, the Dolezals engorged the $$$ proceeds $$$ from Jordan's work, voice, name, image, and likeness in the first six months working with Jordan. 02) The Dolezals wanted to rivet and lock in forever all future engorgement of the $$$ proceeds $$$ from Jordan's work, voice, name, image, and likeness for themselves, and strip Jordan of any possible means of compensation or of enjoying his property without the Dolezals. 03) They considered themselves and their designs magnificent, but they considered Jordan a contemptible, old fool, and to put themselves in a master-servant relationship, with Jordan as servant in regards to his property, where they thought they could act like imperious arseholes with impunity, the Dolezals needed a tool they misstated the force and effect of to intimidate and bash elderly Jordan with to get him to succumb to fear of legal threats, mounting legal costs, and exhaustion, if he dared enjoy his property without the Dolezals, thereby interrupting the Dolezal feeding frenzy. It seems the scheme was dreamed up by bankrupt, self-employed handyman and Czech immigrant Josef Dolezal, Sr., executed through his paroled son Josef John Dolezal, and further enforced by his other local-mechanic, foreign-born son Jakub Richard Dolezal, the three collectively known as MOMENTUM DEVELOPMENT LLC. 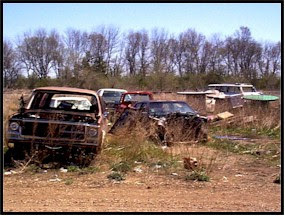 It seems when their conspiratorial fraud encountered resistance pimping and sucking dry financially senior Citizen Jordan Maxwell, the Dolezals fixed dozens of jalopy cars in the yard of their hoarder house for quick money, then they stalked, harassed, and restricted the activities of Jordan Maxwell in retribution. "As a result of the fraudulent and illegal conduct and conspiracy of the Defendants [Dolezals] and each of them, Defendants have wrongfully obtained Plaintiff's [Maxwell] agreement to assign his intellectual property rights, and have derived a secret profit in an amount according to proof at trial." "As a direct and proximate result, and because Defendants [Dolezals] have acted and continued to act fraudulently, maliciously and oppressively, despicably and in callous disregard of the rights and interests of Plaintiffs [sic], the Plaintiff [Maxwell] is entitled to punitive damages in an amount according to proof for the sake of example and by way of punishing the Defendants." Sadly, the force and effect of the situation could be construed as extortion when the Dolezals threaten Jordan for enjoying his property without them, particularly when the law says the Dolezals are wrong, and the Dolezals ignore the law. Sadly, the Dolezals also tried to engender Jordan's continual patronage of themselves with his property, as if he were their servant, which could be construed as racketeering, when the law says the Dolezals are wrong, and the Dolezals ignore the law. All this was done, under the pretense of legal sanction in the guise of their Dolezal assignment document, which the Dolezals lawlessly enforced. Jordan alleges this type of situation happened before circa the early 1990s with a man surnamed "Rubenstein," partnered with to promote Jordan's research, whom Jordan claims also swindled him, under the pretense of good faith, for the $$$ proceeds $$$ of, and rights to, Jordan's work, and then cut out Jordan as a contemptible goofball of no consequence. Rubenstein can be viewed and heard presenting Jordan's work as if it were Rubenstein's in the video THE NAKED TRUTH around 01:19:50, Rubenstein posing as "MICHAEL CHANDLER" (right after Jordan appears.) At the end of another version of THE NAKED TRUTH Jordan never appears, but Rubenstein as "MICHAEL CHANDLER" is there falsely stating the information presented came from "MICHAEL CHANDLER's" many "years" of so-called "research," the fact being the information actually came from Jordan Maxwell's very numerous years of research. The Dolezals, particularly Josef Dolezal, Sr., hiding behind proxy Internet accounts, plastered the Internet with copies of a video they recorded of Jordan talking about Jordan's response to Rubenstein's actions (Josef John Dolezal heard bellowing like a galoot in the background) (Part 2 here). To make Rubenstein the innocent victim of Jordan's apparently gratuitous actions, the Dolezals never mention or present the facts preceding Jordan's words. It's the Dolezals passing off themselves as similar victims, to launder and camouflage their actions, which are lawless. In regards to multiple Jordan Maxwell works created by Jordan BEFORE meeting the Dolezals, said works later registered by the Dolezals as MOMENTUM DEVELOPMENT at the UNITED STATES COPYRIGHT OFFICE, MOMENTUM is listed as EMPLOYER FOR HIRE. MOMENTUM appears there as "Momentum Developments LLC" (with an "S"). Contrary to the Dolezals' 2012 courtroom testimony, in 2014, in a different case in federal court, Case No. CV14-4799-JFW(AS), the Dolezals (MOMENTUM DEVELOPMENT) as defendants never mention hiring, firing, and putting Jordan on probation, and their attorney Carolyn C. Phillips and the Dolezals as defendants maintain the position in writing that Jordan Maxwell "was never employed by Defendants." Phillips dropped the Dolezals as clients (because they don't pay), and in 2016, in that same court case, with bankruptcy attorney Michael H. Raichelson, the Dolezals further maintain the position in writing that Jordan Maxwell and the Dolezals were not even "business partners," but only "colleagues" — completely opposite to the Dolezals being listed as EMPLOYER FOR HIRE as MOMENTUM DEVELOPMENT at the UNITED STATES COPYRIGHT OFFICE in regard to works created by Jordan, and completely opposite testimony to what the Dolezals put in writing, under penalty of perjury, about Jordan Maxwell in their 2012 court case, where Jordan Maxwell was their "former Momentum Development employee" — two different court cases, two different stories in writing from the Dolezals. Although $30,000.00 never appears in the Dolezal assignment (there's no record anywhere), the Dolezals allege they paid Jordan Maxwell a total of $30,001.00 (Jordan says NOT TRUE) as of the date of the assignment, March 30, 2010, in various cash installments over the prior 6 months (when the Dolezals began selling Jordan's products) and owe Jordan nothing more — odd, considering the 69-year-old party bearing the name Jordan Maxwell allegedly gets 1 relatively paltry payment for a lifetime's worth of difficult work, with the percentage of that 1 payment getting smaller and smaller over time when divided by the ongoing accumulating gross proceeds, compared to the other party not widely-known as Jordan Maxwell (the Dolezals) engorging themselves on the windfall of getting paid forever for a lifetime's worth of Jordan Maxwell's work they did not create. Consequently, on a website the Dolezals cut off Jordan's access to, bearing Jordan's name (jordanmaxwell.com), the Dolezals promote the $$$ SALE $$$ of Jordan Maxwell's work and products and engorge themselves on all the $$$ proceeds $$$ to the exclusion of Jordan Maxwell. Simultaneously, to justify their engorgement, the Dolezals go on that website, and go on the Internet and media, to lash out and incessantly portray Jordan Maxwell as a flaky scumbag who filches on deals, when Jordan publicly alleges he's being callously ripped off and his property continuously transgressed upon. The Dolezals hold the man Jordan Maxwell in unmitigated contempt, but they hold in utmost esteem the $$$ money $$$ his name and work brings them. Counter to their August 2012 courtroom testimony, where the Dolezals said they wrote and made Jordan sign their assignment document, in later court cases with the Dolezal assignment and its circumstances under the scrutiny of the law, the Dolezals now go so far to deviously allege 69-year-old Jordan Maxwell wrote their document, and they do not understand his reasons for presenting them with it, as if to lay the foundations for the sinister suggestion this entire quandary of Jordan's ruin is the result of the cloak-and-dagger machinations of a well-seasoned, ingenious, elderly trickster named Jordan Maxwell, impecuniously living off $700-to-$800-a-month Social Security checks, with a dark secret motivating his actions, which the Dolezals have fallen victim to. Instead of escape and staying off the trickster's path, which leads to the fruits of his poison tree, the Dolezals fight tooth and nail to keep the trickster's money miraculously coming their way, which they engorge themselves on, and they're shielded from the trickster by the assignment, they're licensed to act like imperious arseholes in a master-servant relationship, with Jordan as a servant without compensation thanks to it, plus they're able to bash, harass, discipline, compel obedience, and order and command that trickster to keep away from the Dolezal feeding frenzy with that assignment. It's the Dolezals insidiously suggesting the trickster Jordan Maxwell's secret is so dark, so sordid, of such magnitude, he risked these odious consequences as sacrifices necessary to implement his wider scheme, and so wrote and strangely presented the Dolezals with his assignment document. Next the Dolezals paid the trickster $30,001.00 cash, which made them unwilling pawns in his game and showed they're extremely stupid because $30,000.00 never appeared in writing anywhere. There's no record. The Dolezals are clever enough to come up with this convoluted story, but not clever enough to make sure their $30,000.00 appeared somewhere in writing. Continuing, the Dolezals say the game engenders the trickster Jordan Maxwell jeopardizing his life's work, because the trickster's wider scheme has a risky inner ploy — the continual patronage of the Dolezals by the trickster with his property. The trickster's alleged wider scheme is make $30,001.00 cash upfront, after writing a bogus assignment document that cannot be lawfully enforced, suggesting the Dolezals paid for nothing, then the trickster brings the bogus assignment into the scrutiny of the courts to sue the Dolezals, risking years mendaciously arguing about this bogus assignment document the trickster allegedly wrote. Jordan set in motion all that risk, aggravation, jeopardy, rupture, years of hassle, public scrutiny, loss of livelihood, loss of name, and loss of his life's work, plus placing himself in a master-servant relationship, with himself as servant in regards to his property, for an alleged $30,000.00 cash, of which there's no record anywhere. Jordan denies writing such an obviously bizarre deal for himself, saying that's ludicrous on the face of it. It's also the Dolezals and their attorney Carolyn C. Phillips torturing into self-defense the Dolezal engorgement of the proceeds of Jordan's voice, name, image, likeness, and work, and the Dolezals' alienation of Jordan from his name, livelihood, property, and identity. Deviate from Jordan's straightforward assertion he would split the ongoing proceeds of his work 50/50 with whomever helped maintain and update Jordan's website, and there's nothing but the smell of fraud, scam, lunacy, and rip-off to work with, so say Jordan is the root of it all, not the Dolezals, and make it stick with thick, pure, A-grade bull excrement. The Dolezal defense strategy was let one lie lead to another lie, which leads to a bigger lie, which leads to a more preposterous lie, in the hopes turning everything inside out and upside down with a house-of-cards theory will convince Jordan there's a jury stupid enough to believe it — if they can follow it. It's the superlative example of what's called CROOKED. In contrast, there's no escaping the Dolezal engorgement of the proceeds of Jordan's work is documented in numerous written financial records from third-party sources, said records presented in court, with a neutral accountant verifying the veracity of the records and dollar amounts. The alleged $30,000.00 cash the Dolezals claim they paid Jordan is not documented anywhere. There's no written and unequivocal record. There's just a Dolezal saying he gave Jordan some cash. The sinister, cloak-and-dagger machinations under which the Dolezals allege Jordan wrote the Dolezal assignment document, counter to their August 2012 courtroom testimony where they testified they wrote it, was to set the stage for a fabricated and false scenario, with the Dolezals as victims, involving the FEDERAL TRADE COMMISSION's Default Judgment and Order for Permanent Injunction against Jordan Maxwell and Vic Varjabedian, dated 28-April-2004, in the amount of $444,554.66. Jordan and Varjabedian were charged with advertising, promoting, offering for sale, and selling bogus international driver's permits, credit repair services, and debt termination programs. This is another situation where the website jordanmaxwell.com was not in Jordan's control, with devastating consequences for Jordan. Varjabedian launched jordanmaxwell.com on 13-January-2000. Like the Dolezals, Vic Varjabedian did not allow Jordan Maxwell access to jordanmaxwell.com. The FEDERAL TRADE COMMISSION judgment also mentions BBCOA aka BBC OF AMERICA aka BETTER BOOKS AND CASSETTES OF AMERICA. BBC OF AMERICA was founded in 1998 by Vic Varjabedian. BBCOA aka BETTER BOOK & CASSETTE OF AMERICA was incorporated in NEVADA on 15-August-2002. There's a listing at the BETTER BUSINESS BUREAU for B B C OF AMERICA. Looking at a web archive of jordanmaxwell.com, dated 02-March-2001, the website states, "Welcome to the BBC of America Website." Jordan was about 60-years-old in March 2001, impoverished, and was not technically competent with websites and computers. Jordan needed someone to maintain and update a website for him, so he could get his work out to the world. Varjabedian said he could do that. Varjabedian owned and controlled BBC OF AMERICA, not Jordan. Varjabedian also owned and controlled jordanmaxwell.com, and it was Varjabedian who was making money selling bogus international driver's permits, credit repair services, and debt termination programs on his various BBC OF AMERICA websites, including jordanmaxwell.com, where Varjabedian exploited Jordan's notoriety, distinctiveness, and name. Jordan was a victim of his circumstances and technical incompetence with websites and computers, and allowing Varjabedian to control jordanmaxwell.com and promote Varjabedian's wares there, was the price Jordan had to pay to get his work out to the world. When the FEDERAL TRADE COMMISSION judgment came down, Varjabedian fled the UNITED STATES, and Jordan Maxwell was left holding Varjabedian's dirty bag and stuck with Varjabedian's bill for Varjabedian's activities, not Jordan's. Looking at jordanmaxwell.com on 15-December-2002, shows a drop-down menu at the top left saying, "Select A Site" with the choice, "Credit Repair," linked to http://ww17.creditrepair.bbcoa.com/ (BBCOA). Jordan Maxwell had no access to jordanmaxwell.com, plus 61-year-old Jordan Maxwell did not have the technical competence to place a drop-down menu on a website, and Jordan did not place "Credit Repair" there. That was Varjabedian's and BBCOA's webmasters exploiting the notoriety Jordan's work and name drew from the world as pointers to Varjabedian's wares. Varjabedian and his workers putting "Credit Repair" on jordanmaxwell.com is an example of what got Jordan in trouble with the FEDERAL TRADE COMMISSION. At jordanmaxwell.com on 15-December-2002, on that same drop-down menu, there's another choice, "BBCOA.com". Looking at bbcoa.com on 10-December-2002, shows International Drivers Permits, which the FTC did not like. There's no connection to Jordan Maxwell except for Varjabedian using Jordan's notoriety as a pointer to Varjabedian's wares. Jordan Maxwell had no control over the BBCOA website and was only very loosely coupled to any of this, if at all. Looking at bbcoa.com on 28-November-2002, shows on the right a link to "Legal Termination of all credit card debt," which the FTC did not like. That link points to another website for PROPLUS SOLUTIONS, offering their "Credit Card Debt Termination Program". That's a business Jordan had no involvement in, and that's another website Jordan Maxwell had nothing to do with and certainly no control over or access to. I wish to remain anonymous, but I was there and in the office at the time all the following occurred, and I have personal knowledge that corroborates Gus Herrera's story regarding BBCOA misusing Jordan Maxwell's name and website to profit from Maxwell's notoriety, which, unknowing to Maxwell, led to his entanglement with the Federal Trade Commission, through no fault of his own. On Monday, July 26, 1999, I was living in Los Angeles, and I reestablished personal contact with Jordan Maxwell, who was still associated with BBCOA, but only as researcher and promoter of his life’s work, and nothing else. I visited the new office suite of BBCOA in Tarzana several times, which was across the street from BBCOA’s previous one-room office. Vic Varjededian, who owned BBCOA, was traveling in a white Mercedes Benz as of Monday, July 26, 1999. Jordan Maxwell had his own smaller office within the larger office suite of Varjabedian’s BBCOA, but Jordan Maxwell was not being paid enough money to live outside that office in a proper home or apartment is what I concluded based on what I saw, Jordan Maxwell living within that smaller office and sleeping on the floor. In short, I would classify Jordan Maxwell as being kept on Varjabedian’s economic leash and under Varjabedian’s economic control and thumb. I understood that Jordan Maxwell, then a 58-year-old man, endured these difficult circumstances because events forced him to consider this association with Vic Varjabedian, and consequently BBCOA, the only means available at such time to continue to promote his life’s work and research. Given all the events and circumstance described above, I do not know when Jordan Maxwell was formally considered as being an associate of BBCOA, but it would have to be sometime after Friday, September 25, 1998, when I reestablished contact with Jordan Maxwell in Vic Varjabedian’s previous one-room BBCOA office in Tarzana, Los Angeles, California, and Thursday, January 16, 2003, when the Federal Trade Commission publicly released the following statement: "FTC Targets Sellers Who Deceptively Marketed International Driver's Permits over the Internet and via Spam," naming Jordan Maxwell and Vic Varjabedian in the Central District of California, Western Division. I afterwards learned from personal associates BBCOA was shutdown days prior by the Federal Trade Commission and the police. It is my assertion based on my eyewitness and personal knowledge of the parties involved, this is a case of suspicion and guilt by association concerning Jordan Maxwell, as at no point in time did I ever personally witness or have personal knowledge of Vic Varjabedian ever allowing Jordan Maxwell to assert any influence, control, or direction over BBCOA’s business activities and policies, which had nothing at all to do with Jordan Maxwell’s life’s work as one of the world’s leading researchers, a life’s work already begun long before any association with Vic Varjabedian and BBCOA. Any association of Jordan Maxwell’s with BBCOA was solely to promote his life’s work and research, nothing else. I hereby unequivocally assert that it is my personally informed belief and understanding that any agreement between Vic Varjabedian and Jordan Maxwell never, under any circumstances, went beyond Jordan Maxwell providing his life’s work, speaking ability, and research materials for promotion by the BBCOA, from which Vic Varjabedian gained handsomely, and Jordan Maxwell, from what I’ve observed personally, has never received enough recompense from Vic Varjabedian to ever acquire a proper home or apartment to live in, Jordan Maxwell having to live in a small office and sleeping on the floor throughout his entire association with Vic Varjabedian and BBCOA, and I’ve never observed or personally known Jordan Maxwell to ever have received more than a small, very informal, casual allowance from Vic Varjabedian for food and miscellaneous expenses. Jordan Maxwell has told me himself on occasion, the government personally spoke to him, and the government conceded they knew Jordan Maxwell had nothing to do with the activities that shutdown BBCOA, and that the government’s interest in Jordan Maxwell was solely to obtain information about Vic Varjabedian’s activities. Now in dire need of a plausible justification for their engorgement, documented on the record, of the proceeds of elderly Jordan's work and name, said Dolezal engorgement now under the scrutiny of the law, the Dolezals deviously suggested Jordan's being under the onus of an asset freeze due to the FEDERAL TRADE COMMISSION's Default Judgment and Order for Permanent Injunction against him in 2004, which the Dolezals claim Jordan did not disclose to them, was Jordan's inducement to write the Dolezal assignment and sell his life's work in 2010 for a paltry bowl of a lousy and alleged $30,000.00 Dolezal porridge, instead of theft by false pretenses on the part of the Dolezals, with Jordan Maxwell their elderly victim. The Dolezals were officially stating Jordan, the elderly victim of their ongoing scheme to perpetually fill their coffers with passive income from his property, was himself an elderly and impoverished trickster, machinating to victimize the Dolezals with the ongoing benefits of Jordan's name and work, so he could deviously separate the Dolezals from their alleged $30,000.00 cash, of which there's no record anywhere, because Jordan was under an asset freeze and needed an influx of quick money, which the Dolezals allege they paid him when they began selling Jordan's property. That was the Dolezal version of events in federal court, Case No. CV14-4799-JFW(AS), which was counter to their 2012 version of events where all three Dolezals appeared together in Los Angeles court as MOMENTUM DEVELOPMENT LLC in August 2012 on two separate days before two separate judges/commissioners: Mina Dumas Fried, and Eugene M. Salute (Los Angeles Superior Court; SEARCH for Case #: 12V03383). With Jordan Maxwell and witnesses present, all three Dolezals stood in front of judge/commissioner Eugene M. Salute, while one peculiar Dolezal testified Jordan was their "former Momentum Development employee", and they had to keep hiring, firing, and putting 69-something-year-old Jordan on probation, then upon discovering the FEDERAL TRADE COMMISSION's Default Judgment and Order for Permanent Injunction against Jordan Maxwell and Vic Varjabedian, the Dolezals wrote up their Assignment document, which they made Jordan sign. These Dolezals handed the bailiff their papers they made Jordan sign, and the bailiff handed the papers to the judge/commissioner, who noted them, then handed them to the court clerk. The Dolezals presented no evidence of any employment or an employment agreement because they were lying. To really whitewash, justify, camouflage, and deflect from their engorgement of the proceeds of the elderly Jordan Maxwell's property, and their alienation of Jordan from his name, identity, and livelihood, the Dolezals, hiding behind fake and/or anonymous accounts, continuously bring to notice on the Internet the FEDERAL TRADE COMMISSION's Default Judgment and Order for Permanent Injunction against Jordan, casting in a false light Jordan's FTC situation, to make it appear plausible the Dolezals were somehow defrauded by Jordan, since Jordan allegedly defrauded the public and is dirty, despite the facts saying differently. In the FEDERAL TRADE COMMISSION case, Jordan never appeared in court, and no man or woman ever appeared in court saying Jordan Maxwell did them wrong. It's the Dolezals trying to mitigate the magnitude of their ongoing engorgement of the proceeds of Jordan Maxwell's property by suggesting their Dolezal dirt is as pure as snow compared to Jordan's dirt. The Dolezals were not there and have no personal knowledge. 01) "Jordan Maxwell scam people for $ 444,554.66"
02) "JORDAN MAXWELL: Pathological Liar, Con artist, Kid Napper, Couch Surfer, Jehovah"
03) "Jordan Maxwell Default Judgement for $ 444.000, Russell's biggest scam to date"
04) "JORDAN MAXWELL IS A FAKE PHONY FRAUD CON ARTIST-NEW VIDEO ,"
Also, the Dolezals wrote, copyrighted, published, and promoted all over the Internet the article JORDAN MAXWELL MASTER DEFRAUDER, their story, containing false claims, of how they were victimized by engorging the proceeds of Jordan's property and work, and alienating Jordan from his name and livelihood. JORDAN MAXWELL MASTER DEFRAUDER was written in retaliation when Jordan began exposing and publicly alleging he's being callously ripped off and his property continuously trespassed upon by the Dolezals. "Things seemed to go steadily south ever since Switzerland for reasons I never figured out; and as you have read in the article [JORDAN MAXWELL MASTER DEFRAUDER] currently posted on www.JordanMaxwell.com, ..."
"Jordan, You could not have gotten paid, or 'received a bit every month' pursuant of the judgment filed against you by the FTC in 2004." In early January 2015, the Dolezals sued Jordan for $10,000,000.00+ for defamation (search — Los Angeles Superior Court, Case EC063466), because Jordan publicly alleged the Dolezals were lying thieves stealing everything from him. The Dolezals alleged Jordan's statements were hurting the Dolezals' income and sales of Jordan's property. However, the Dolezals failed to confess they hurt their income and sales of Jordan's property because they were promoting him on jordanmaxwell.com as a "Master Defruader [sic]," "Con-artist," and "Criminal Sociopath", while simultaneously trying to induce the public to buy Jordan's property from the Dolezals, said property the work of a Jordan Maxwell the Dolezals were promoting as a "Master Defruader [sic]," "Con-artist," and "Criminal Sociopath." JORDAN MAXWELL MASTER DEFRAUDER is copyrighted at the UNITED STATES COPYRIGHT OFFICE (Registration Number / Date: PAu003654539 / 2012-10-29), with the author listed as Josef Dolezal. In deposition, under penalty of perjury, on 26-May-2015, Josef Dolezal falsely claimed he did not write it, a demonstrable lie. Attorney: "Speaking of crime, have you ever been convicted of a felony?" Josef John Dolezal: "I believe I said last time I have not been convicted of a felony." Attorney: "Have you ever pled to a felony?" Josef John Dolezal: "Have I ever pled to a felony." Attorney: "Pled guilty or nolo contendere?" Josef John Dolezal: "That's a private matter." Attorney: "We're entitled to that information." Attorney: "Yes or no, have you ever pled to a felony?" Josef John Dolezal: "I told you I have not been convicted of a felony, and that's a private matter." Attorney: "As to whether you pled?" Attorney: "Have you ever pled guilty to a felony?" Josef John Dolezal: "I don't remember exactly what -- what would plead even mean, but I told you I've not been convicted of a felony, so --"
Attorney: "You haven't answered the question. Have you ever pled guilty to a felony charge?" Josef John Dolezal: "I believe that's a private matter." Josef John Dolezal: "I was told otherwise, so I don't know. I mean, I'm sorry, I don't --"
Attorney: "You're refusing to answer the question?" Josef John Dolezal: "I'm telling you it's private, not refusing to answer." Attorney: "Are you refusing to answer the question, yes or no?" Josef John Dolezal: "I have not --"
Attorney: "Have you ever pled guilty to a felony charge in any jurisdiction?" Josef John Dolezal: "All I know is that I have not been convicted of a felony." Attorney: "That's not an answer." Josef John Dolezal: "I'm saying that I have never been convicted, and the rest of the matter is private. That's what --"
Attorney: "You're refusing to answer the question by giving a nonanswer. I'm not asking you whether you've been convicted. I'm asking you whether you have ever pled guilty to a felony charge in any jurisdiction." Josef John Dolezal: "I'm saying it's a private matter, similar, but not exactly to the confidentiality agreement. If it's private, it's private." Attorney: "It's not. And your counsel knows that." Josef John Dolezal: "Okay. Well, if the judge says or stipulates that I have to answer --"
Attorney: "Oh, he's going to." Josef John Dolezal: "-- then I'll answer that particular question. From what I understand and what I was told, it's a private matter." Attorney: "Told by whom, other than your attorney?" Josef John Dolezal: "Private matter." Attorney: "Have you ever been charged with a felony?" Josef John Dolezal: "I don't know exactly. I don't know what those -- if any of those documents, what they stipulate or what they didn't. I don't know." Attorney: "Have you ever been --"
Josef John Dolezal: "I don't keep record of it, so --"
Attorney: "You would know whether you've been charged with a felony or not, wouldn't you?" Josef John Dolezal: "I'm not a legal expert. I wouldn't necessarily know that." Attorney: "Have you ever been charged with any type of crime?" 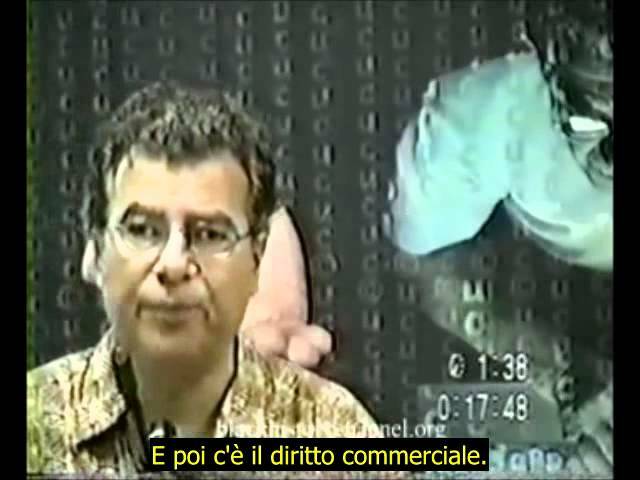 Josef John Dolezal: "Crime. Define 'crime.' Like a traffic ticket?" Attorney: "A misdemeanor or a felony." Josef John Dolezal: "I don't necessarily know what would -- I've gotten traffic tickets before, if you're asking that. What they were ultimately charged as, I don't know." Attorney: "Have you ever been arrested?" Josef John Dolezal: "I don't recall." Attorney: "Have you ever been in jail?" Jordan alleges what really happened on March 30, 2010, the date he signed the Dolezal Assignment document, and the first time he saw it, was he was living in an old trailer he was put in by the Dolezals, in the driveway of a house the Dolezals were renting at this address: 23361 FRIAR ST, WOODLAND HILLS CA 91367-1432. Jordan, a 69-year-old elderly man, said he was very sick, under a doctor's care (Jordan was in the hospital on 19-May-2016, for a near-fatal heart attack), and in the trailer sleeping. Josef Dolezal, Sr. banged on the trailer door, waking Jordan. Dolezal, Sr., Director of MOMENTUM DEVELOPMENT, told Jordan to get inside the house, the Dolezals had something for him to sign, if they were to continue doing business together. Jordan said he was sick and didn't want to do it that night. Dolezal, Sr. was not asking. He was ordering — do it now, there's a notary at the house, so sign immediately or Jordan and the Dolezals can't do business, meaning out of the trailer and onto the street for Jordan. Jordan alleged he walked into the house, and the whole Dolezal family and some other people were at a table. Jordan said there was a mobile notary there: Philip H. Berkner, 22789 LIBERTY BELL RD, CALABASAS CA 91302-5720. Jordan was told by the Dolezals to sign their document, and he did. Then, not feeling well, he went back to the trailer and threw up. Jordan Maxwell also denies being paid an alleged $30,001.00 cash by the Dolezals, testifying no money passed hands on March 30, 2010, the day Jordan signed the Dolezal document, not even $1.00. Jordan alleges he always told the Dolezals from the start of their association his deal with them was a 50/50 split of the gross proceeds from his work, their job being to help get it to the public, particularly via website. Jordan says on the day he signed that document he sold nothing, and he saw a document entitled, "Assignment of Intellectual Property", so he interpreted the document he was signing to simply be a conditional assignment of rights for ongoing, future periodic payments ("other valuable consideration"), which the Dolezals wrote they "SHALL PAY" (future tense, futurity, having no force and effect at this time, having nothing to do with the present, NOT NOW), starting from March 30, 2010, the date of the assignment, with the ongoing, future periodic payments resulting from a 50/50 split with the Dolezals of the gross proceeds from Jordan's work — what Jordan always told the Dolezals, plus ordinary and equitable enough to be expected, given there's 2 parties. Jordan alleges he was given no reason by the Dolezals to suspect why an ordinary and simple divide of the gross proceeds (100%) by 2 (50% for 2 parties) would be deviated from, that requiring a contortion of the mind. According to Jordan, he was surprised and had no idea the Dolezals would bait-and-switch and interpret and try to enforce the document he signed as an incredible one-shot buy out agreement, restricting Jordan's use of his name, and putting Jordan in a master-servant relationship, with Jordan as servant to the Dolezals in regards to his property, plus cutting out and alienating Jordan Maxwell from the Jordan Maxwell business FOREVER, rather than an ordinary and typical 50/50 ongoing split by 2 parties, particularly since the one-shot payment allegedly given to Jordan becomes a smaller and smaller percentage over time when divided by the ever-accumulating gross proceeds from Jordan's name and work the Dolezals planned on engorging themselves with forever, a true windfall. In multiple failed Dolezal attempts to trademark the name Jordan Maxwell without Jordan's consent, the US Trademark Office said the Dolezal document of the deal is just that — an assignment agreement, not a buy out akin to an example the Dolezals cited. In other words, the Dolezals tried to argue buy out meant Jordan Maxwell the man was cut out, but the US Trademark Office said not so. The Dolezals still needed Jordan's explicit and written consent, specifically stating a Dolezal may trademark Jordan's property (his name). This was despite a Dolezal protracted protestation that their Dolezal assignment was alleged evidence of Jordan Maxwell the man having no further interest whatsoever in any and all matters concerning Jordan Maxwell's property as of the date of the Dolezal document — March 30, 2010. The Dolezals were the masters in regards to Jordan Maxwell's property, Jordan Maxwell was the servant, and Jordan Maxwell the man, in the Dolezal mind, was peremptorily dismissed, of no consequence and further concern, and out of the Jordan Maxwell business FOR GOOD. The Dolezal assignment proved it. Not so, said the US Trademark Office. If a Dolezal wanted to trademark Jordan Maxwell's property (his name) without trespass, the Dolezal needed the man Jordan Maxwell's consent, and the Dolezal assignment was not evidence of the man Jordan Maxwell's consent, according to the US Trademark Office. That would be perpetuating trespass against a man and his property — CASE CLOSED, Dolezal trademark applications DEAD, Dolezal plan THWARTED. Jordan Maxwell alleges he signed the document merely because the Dolezals said to continue doing business with him they needed his permission to use his name and likeness to sell and distribute his work and products via their wholly-owned Dolezal company MOMENTUM DEVELOPMENT LLC on a website bearing Jordan's name (jordanmaxwell.com), whose registrant was finally Jordan Maxwell — plausible and seemingly fair enough on the surface to not be able to refuse without seeming unreasonable, and plausible and fair enough on the surface to not contort the mind to suspect a virulent bait-and-switch, and the surprising and hard-to-fathom consequences, soon to follow, that made a signature worse than a knife in the back — attempts to put senior Citizen Jordan Maxwell out of the Jordan Maxwell business FOREVER, including restricting Jordan's use of his name, putting Jordan in a master-servant relationship, with him as servant to the Dolezals in regards to his property, engorging on the proceeds of Jordan's work to the exclusion of Jordan Maxwell, and stopping Jordan's appearance in public and media — in effect alienating Jordan Maxwell from his livelihood, and in effect a Jordan Maxwell monopoly for the Dolezals, which the Dolezals considered perfectly fine, and not a trespass, and had no qualms aggressively and consistently enforcing against Jordan and others, all of which the US Trademark Office and courts say the Dolezals never had the right to do. The Dolezals, now with their engorgement under the scrutiny of the law, plus administrative and judicial determinations opposing them, argue in court Jordan wrote their assignment, and Jordan specifically wanted to put himself in such an odd and weird situation, catastrophic and malevolent to his property and interests, with the Dolezals his masters in regards to his property and Jordan their servant. Jordan Maxwell's public protestations attest to his feelings of trespass and personal cataclysm. The Dolezals argue: 01) the assignment and its severe consequences were Jordan's idea, 02) he wrote the Dolezal document, and 03) the Dolezals have no idea why. Other points to consider regarding Dolezal false claims — Why would the Dolezals keep Jordan Maxwell in a trailer in the driveway of a house they were renting after Jordan signed an assignment document the Dolezals claimed cutoff his livelihood and earning capacity forever by giving it to the Dolezals, meaning Jordan had no means to pay his bills and rent expenses? There would be no reason for the Dolezals to keep supporting Jordan, and Jordan would've vacated the premises. The Dolezals and Jordan would've planned on Jordan's leaving after the Dolezal assignment was executed. In effect, Jordan would've retired, so why would the Dolezals be running a retirement and charity home in the form of a trailer in their driveway with senior Citizen Jordan Maxwell flopped there, who just cutoff his earning capacity forever? Why would Jordan retire, then make himself a charity case in a trailer in the driveway of a home rented by people he'd known less than a year, by surrendering his earning capacity to them? However, Jordan did not vacate the premises because the assignment said the Dolezals SHALL (NOT NOW, the FUTURE, having no force and effect at this time) PAY "$1 and other valuable consideration," and Jordan was led to believe "other valuable consideration" and "SHALL PAY" meant he was expecting a future and ongoing 50/50 split with the Dolezals of the gross proceeds from Jordan's work — what Jordan always told the Dolezals. However, what the calculating Dolezals did with the equivocal, ambiguous, and indefinite language they inserted into their assignment document was put Jordan in position where he was going to serve the Dolezals forever, whether he liked it or not, and the Dolezals were going to engorge the proceeds of Jordan's name and work forever, whether he liked it or not, a constructive master-servant relationship, with Jordan alienated from his property and servant to the Dolezals. The bait-and-switch was left for Jordan to discover after signing the Dolezal document, despite what he was led to believe. When the Dolezals were dragged into court with their assignment document, they knew the questionability of their assignment was exposed, so they said Jordan wrote it. Jordan alleges his reason for associating with the Dolezals was as mundane and straightforward as it gets — he was a 68-year-old elderly man and technically incompetent with computers and websites, but needed the website he had bearing his name (jordanmaxwell.com) to be continuously updated and maintained to help get his work out to the public. He would simply and equitably split the proceeds of his work 50/50 with whomever helped him — believable enough for a senior Citizen in impecunious circumstances living off $700-to-$800-a-month Social Security checks. Circa mid-2009, one of the Dolezals approached Jordan and said he could be webmaster for that existing website, its domain name having a creation date of January 13, 2000. The Dolezals are very unhappy Jordan Maxwell exposed the sordid facts of their dealings with him. The Dolezals are also very unhappy about the scathing manner in which Jordan Maxwell informed his audiences, curious about Jordan's near-total absence from public view, about alleged trespasses against his property by the Dolezals, and that the Dolezals were trying to alienate Jordan from his livelihood, and trying to put Jordan Maxwell out of the Jordan Maxwell business FOREVER, plus put him in a master-servant relationship, with the Dolezals as masters and Jordan as servant in regards to his property, plus enforce a Jordan Maxwell monopoly against him, plus restrict his speech and appearance in the public and media, and that his name was being used by the Dolezals to take actions Jordan did not agree with, plus engorge themselves on $$$ money $$$ from the public, with Jordan not receiving that money, although the public might think so, on a website bearing his name (jordanmaxwell.com), which the Dolezals cut off his access to. At the same time, the Dolezals, as if masters, were ordering Jordan, to cease using the name Jordan Maxwell he's used for decades to inform the public, that name Jordan Maxwell being the name by which he's widely-known to his audience, that name Jordan Maxwell appearing on Jordan's driver license, senior citizen id, and passport; in effect, the Dolezals alienating Jordan from his identity. "In making the disclosure described above, defendant [Dolezal] was guilty of oppression, fraud, or malice, in that defendant made the disclosure with the intent to vex, injure or annoy plaintiff or a willful and conscious disregard of plaintiff's [Maxwell] rights." "As a legal and proximate cause of Defendants' [Dolezals] negligence, Plaintiff [Maxwell] was defrauded out of the purchase and use of his name and likeness, and suffered other compensatory losses and interest thereon." "Dolezal has brazenly stolen Maxwell's name, image, life's work, and livelihood, and now seeks judicial sanction to ruin Maxwell's earning capacity for life. Maxwell has pled facts to establish the theft — be it through invasion of privacy, breach of contract, or both." Jordan says the Dolezals' behavior is typical of others who've come along through the years saying they just "LOVE" Jordan's work and want to help, but in his opinion, nothing thus far has quite scaled the heights reached by the Dolezals, confirmed by the administrative and judicial determinations opposing them at the US Trademark Office and in the courts, and the words and lies of the Dolezal there. Incidentally, in the federal case, Case No. CV14-4799-JFW(AS), a motion for summary judgment against MOMENTUM DEVELOPMENT (the Dolezals) on a copyright infringement claim was GRANTED to Bob Gill, the producer of the Jordan Maxwell Show. In the $10,000,000+ Dolezal defamation case (search — Los Angeles Superior Court, Case EC063466), a $7,560 judgment in favor of Bob Gill was awarded as a result of his prosecution of an anti-SLAPP motion against the Dolezals. This is a nearly exact copy and presentment of that archival material. Jordan Maxwell has been involved in protracted litigation in three different cases with 33-year-old Joe Dolezal a.k.a. Josef Dolezal, Jr. (some guy mailing DVDs and in certain circles considered a peculiar, LORD FARQUAAD-like character) and the Dolezal family company MOMENTUM DEVELOPMENT, LLC over the ownership rights to Jordan Maxwell's NAME, identity, speech, image, privacy, consent, funds, products, work, property, and original website. Since being dragged into court, the Dolezals' argument for stripping Jordan of his rights and property is Jordan Maxwell is the Dolezals' cartoon character like SUPERMAN, and the Dolezals are like DC COMICS, and this was an idea Jordan dreamed up himself that Jordan explicitly agreed to for an alleged $1.00 and other so-called "valuable consideration," and Joe Dolezal a.k.a. Josef John Dolezal has NO IDEA WHY (SEE: Dolezal Declaration, Los Angeles Superior Court, SEARCH for Case #: EC063466, Declaration date 04-May-2015). Dolezal and MOMENTUM assert they own the rights to Jordan Maxwell's past, present, and future work forever, and have been selling Jordan Maxwell products on the website, jordanmaxwell.com. Jordan Maxwell IS NOT being paid any money from sales or donations made on the website jordanmaxwell.com. Jordan Maxwell IS NOT currently actively involved with the site jordanmaxwell.com IN ANY MANNER WHATSOEVER. Unable to effect service at given address. House is like a hoarder house, over a dozen cars, very remote. Road not paved & is very dangerous. First spoke to a Male, 60, 6'2", Polish or Russian sounding accent, he was rubbing a rag on a car. I asked if this was "Pyramid Center or for Josef Dolezal", he said "I don't know, I just clean the cars". He denied living there, told me to go away. I saw a blonde female, 60 on upper deck and asked her the same questions. She came down and said there is no "Pyramid Center & Josef was not here." I asked does Josef live here, then she started screaming, "I was trespassing." Meanwhile the tall guy is reading out loud the J & J sheet [Janney & Janney Attorney Service, Inc.] on the papers and then starts asking me questions. I said "I thought you did not live here", then from behind a car a male 30 came towards me with a large heavy impact wrench at shoulder height as if to strike me. He said "if you keep being aggressive (all I did was ask a few questions) I'm going to answer your aggression with aggression". I left. This place is too remote to go alone, if something happens no one will ever know! Unsafe for me, you need a Sheriff or someone armed. At what's characterized as the hoarder house (very messy), the rag-rubbing, car-cleaning male, 60-something-year-old, 6"2', Polish or Russian sounding accent, is the Dolezal clan father, Joe Dolezal a.k.a. Josef Dolezal, Sr. a.k.a. Josef D. Dolezal, Sr. (64-year-old person born in Czechoslovakia during communist times on 04-July-1952), who is Director of MOMENTUM DEVELOPMENT, LLC and publicly held himself out as such. The screaming, 60-something-year-old woman is the Dolezal clan mother, Vera Elizabeth Dolezal, née Petrikova, of Czechoslovakia. Son #1, Jakub Dolezal (35-years-old) a.k.a. Jakub Richard Dolezal, born 31-January-1981, in Prague, Czechoslovakia, who was previously Agent for Service of Process listed as JOKUB DOLEZAL. Jakub Richard Dolezal is/was Manager of MOMENTUM DEVELOPMENT, LLC. Son #2, Josef John Dolezal (33-years-old), born 21-September-1983, in Rochester, Minnesota (UNITED STATES) who is a MOMENTUM officer. The Dolezal clan father and mother filed for Chapter 7 BANKRUPTCY in the UNITED STATES BANKRUPTCY COURT, MIDDLE DISTRICT OF FLORIDA, on 29-August-2005, Case #: 8:05-bk-17130-KRM. Self-proclaimed, self-employed handyman father of the Dolezal clan, Josef Dolezal, Sr., is named in the bankruptcy filing as debtor JOZEF DOLEZAL (SEE Document 1, Page 3 of 45, Summary of Schedules, Total Liabilities: $386,452.98). Czechoslovakian-born, self-employed handyman Josef Dolezal, Sr. is also the executive producer and director of the all-time classic and epic movie AMERICAN DREAM. AMERICAN DREAM is a "romantic drama ... drawn from the thoughts and experiences of Jakub Dolezal. Produced and directed by Josef Dolezal [clan father], AMERICAN DREAM is a story of misunderstood love divided by two separate and emigrant generations." It ends with Jakub "Jay" Richard Dolezal and his brother Josef "Junior" John Dolezal putting on a concert of their fusion of hip-hop and classical music that is SO SUCCESSFUL these Czechoslovakian brothers make a TON OF AMERICAN $$$ MONEY $$$. These Dolezals incessantly send out cease-and-desist orders and notices with lawsuit threats (at times behind the name "JORDANMAXWELL033"), RESTRICTING Jordan Maxwell's speech, plus his appearances in media and public, which these Dolezals characterize as (quoting) "unauthorized use of Jordan Maxwell." Despite the US Trademark Office REPEATEDLY REFUSING to allow these Dolezals to trademark Jordan Maxwell, one peculiar Dolezal characterized Jordan's speech, plus his appearances in media and public, as (quoting) "illegal use" of an (quoting) "unclaimed fictitious entity known as JORDAN MAXWELL" (SEE Request for Reconsideration after Final Action, SERIAL NUMBER 85826122, US Trademark Office, Signatory Name: JOSEF DOLEZAL, 16-May-2014). These Dolezals spend a considerable portion of their time monitoring, following, and tracking Jordan Maxwell's whereabouts, movements, and activities for so-called "unauthorized" and "illegal use" of the "fictitious entity known as JORDAN MAXWELL." Jordan's association with these Dolezals began in 2009. These Dolezals continuously send out cease-and-desist orders and notices regarding Jordan Maxwell's public appearances and take down media featuring Jordan Maxwell; HOWEVER, the Dolezal "Assignment" NEVER gave a Dolezal any rights regarding Jordan Maxwell's appearances in the public or media. The Dolezal "Assignment" NEVER gave a Dolezal any rights to control or restrict Jordan Maxwell's speech. In their BOGUS "cease-and-desist" orders and notices, these Dolezals MISSTATE the force and effect of the Dolezal Assignment of Intellectual Property Jordan signed on 10-March-2010. As of 25-August-2016, these Dolezals are STILL threatening others with legal action by sending out bogus "cease-and-desist" orders and notices FALSELY claiming Jordan Maxwell is their so-called "exclusive intellectual property" DESPITE administrative and judicial determinations to the contrary. Presumably, these Dolezals reached the conclusion the judge is wrong, so they IGNORE his ruling and continue to threaten others in writing with legal action. US TRADEMARK OFFICE EXAMINER'S STATEMENT: "There are no provisions in the Assignment of Intellectual Property document where the assignor [Maxwell] expressly states that the name JORDAN MAXWELL would be the property of the applicant [Dolezal]. Neither did the assignor agree to refrain from use of the name 'Jordan Maxwell' in any subsequent business endeavors." Judge Stewart: "The Cross-Defendants [Dolezals] also argue that they had the right to use the Cross-Complaintant's [Maxwell] image under a 2010 assignment. A copy of this assignment is attached as an untabbed exhibit to the opposition papers. This 2010 assignment transferred the intellectual property owned by the Cross-Complaintant, Jordan Maxwell, in 2010. IT IS NOT EVIDENCE that the Cross-Complaintant CONSENTED to the use of HIS voice, name, and likeness in the sale of a videotaped deposition that occurred in 2015." District Judge King: "In essence, Defendants [Dolezals] argue that because Momentum owns the copyrights to the 'Jordan Maxwell' name and persona, and because Momentum did not consent to Gill's [producer of the Jordan Maxwell Show] use of the 'Jordan Maxwell' name and persona in the Show, Gill cannot own a valid copyright in the Show. This argument hinges on the assumption that Momentum in fact owns the copyrights to the alleged 'Jordan Maxwell' name and persona. But this assumption is completely unsupported. As a matter of law, Momentum cannot hold a copyright interest in the 'Jordan Maxwell' name because a name is not copyrightable. 37 C.F.R. § 202.1 (names are not subject to copyright). As for rights to a 'Jordan Maxwell' character, '[a real] person's name or likeness is not a work of authorship' subject to copyright protection. Downing v. Abercrombie & Fitch, 265 F.3d 994, 1003-04 (9th Cir. 2001) (holding that a person's name and likeness are not copyrightable). However, a fictional character who is 'especially distinctive' may be copyrightable. See DC Comics v. Towle, 802 F.3d 1012, 1019 (9th Cir. 2015) (noting that 'especially distinctive' characters are copyrightable). Defendants [Dolezals] claim that 'Russell Pine created [the] fake name [Jordan Maxwell] for the purpose of inventing the Jordan Maxwell character for telling stories and fables related to the occult in an effort to profit from the pseudo name and character's eventual notoriety and popularity.' (Jt. Br. at 6.) However, Defendants [Dolezals] cite no admissible evidence to support the contention that 'Jordan Maxwell' is a fictional character deserving copyright protection. Accordingly, they [Dolezals] have not demonstrated that the Show infringes any claimed copyrights to the alleged 'Jordan Maxwell' name and persona. Defendants [Dolezals] also contend that the Show is an infringing derivative work because the Deal Memo between Gill [Show producer] and Maxwell states that the Show will 'featur[e] the works of Researcher/Author Jordan Maxwell.' (Deal Memo at 1.) Because the Show will feature Maxwell's 'works,' and because Momentum owns Maxwell's intellectual property via the Assignment, the Show must be an infringing derivative work. But Defendants [Dolezals] have not demonstrated that any of the works covered by the Assignment were used in the creation of the Show. Their argument amounts to little more than speculation that the Show is an infringing derivative work. Such a conclusory, unsupported argument is insufficient to create a genuine issue of material fact that defeats summary judgment." "To prove copying, a plaintiff [Gill, producer of the Jordan Maxwell Show] must advance either direct evidence of copying or circumstantial evidence showing (1) that a defendant [the Dolezals] had access to the plaintiff's work and (2) that the two works are substantially similar. Smith v. Jackson, 84 F.3d 1213, 1218 (9th Cir. 1996). Here, there is no dispute that Momentum (through Dolezal) offered the first twenty-four episodes of the Show [the Jordan Maxwell Show] for sale on its website. In a deposition given on behalf of Momentum, Dolezal admitted that he copied these episodes by downloading them from Gill's [producer of the Jordan Maxwell Show] website, jordanmaxwellshow.com, and offering them for sale on Momentum's website, jordanmaxwell.com. This is direct evidence of copying. Because Gill has shown that he owns a valid copyright in the episodes of the Show and that Momentum copied the episodes by placing them for sale on its website, Gill has demonstrated that Momentum infringed his copyrights in the Show. See 17 U.S.C. § 106(3) (copyright owner has exclusive right to 'distribute copies . . . of the copyrighted work . . . by sale or other transfer of ownership, or by rental, lease, or lending'); id. § 501(a) ('[A]nyone who violates any of the exclusive rights of the copyright owner . . . is an infringer of the copyright or right of the author[.]'). On the evidence before us, no reasonable juror could conclude that Momentum did not infringe Gill's copyright in the Show. Gill's motion for summary judgment against Momentum [the Dolezals] on his copyright infringement claim is GRANTED." These Dolezals are so unhappy about Jordan Maxwell telling the world WHY he's been TAKEN OUT of the public eye for so long and informing the world of his opinion about his YEARS OF TREATMENT and subsequent economic harm at the hands of these Dolezals, they decided to sue Jordan for $10,000,000+ to get him to SHUT UP. A jury trial is scheduled for Tuesday, 13-September-2016 (Los Angeles Superior Court; SEARCH for Case #: EC063466). The ostensible reason these Dolezals are suing Jordan is because he publicly alleged these Dolezals stole his old website jordanmaxwell.com. UPDATE: Jordan Maxwell was sued for $10,000,000+ for defamation (slander/libel) ostensibly solely by Josef John Dolezal (who seems to be the mouthpiece of this Dolezal clan) because Jordan publicly alleged Dolezal stole his original website jordanmaxwell.com. Moments before trial on Wednesday, 14-September-2016, Dolezal decided it was probably NOT a good idea having Jordan attempting to prove his allegations were TRUE. Jordan was well-prepared to go to battle and attempt to PROVE his allegations that Dolezal stole jordanmaxwell.com were TRUE; BUT, at the last minutes, Dolezal decided NOT to go to trial. Dolezal had his chance to PROVE Jordan Maxwell's allegations were FALSE; BUT, Dolezal DISMISSED his case. "Future Hearings; 10/25/2016 at 08:30 am in department A at 300 East Olive, Burbank, CA 91502; Osc Re Dismissal"
The Dolezal clan father, Joe Dolezal a.k.a. Josef Dolezal, Sr. a.k.a. Josef D. Dolezal, Sr. (64-year-old person born in Czechoslovakia during communist times), is Director of MOMENTUM DEVELOPMENT, LLC and publicly held himself out as such. In federal case 2:14-cv-04799-GHK-AS, Jordan Maxwell alleges it was the Dolezal clan father, Josef D. Dolezal, Sr., suddenly out of the blue, telling Jordan these Dolezals have papers Jordan MUST SIGN. Jordan further alleges the clan father, Dolezal, Sr., was the boss calling all the shots on the business of MOMENTUM. The clan father, Dolezal, Sr., failed to appear for his deposition on Friday, 28-August-2015. Josef John Dolezal (son #2) (33-years-old) is a MOMENTUM officer. Jakub Dolezal (35-years-old) a.k.a. Jakub Richard Dolezal (son #1) was previously Agent for Service of Process listed as JOKUB DOLEZAL. Jakub Richard Dolezal is/was Manager of MOMENTUM DEVELOPMENT, LLC. All three Dolezals appeared together in Los Angeles court as MOMENTUM in August 2012 on two separate days before two separate judges/commissioners: Mina Dumas Fried, and Eugene M. Salute (Los Angeles Superior Court; SEARCH for Case #: 12V03383). With Jordan Maxwell present, all three Dolezals stood in front of judge/commissioner Eugene M. Salute, while one peculiar Dolezal testified about papers characterized as theirs, these Dolezals wrote up and presented to Jordan to sign (their Dolezal "Assignment," which the Dolezals now deny writing — SEE: Dolezal Declaration, Los Angeles Superior Court, SEARCH for Case #: EC063466, Declaration date 04-May-2015). These Dolezals handed the bailiff their papers they made Jordan sign, and the bailiff handed the papers to the judge/commissioner, who noted them, then handed them to the court clerk. There, in 2012, MOMENTUM stated in oral testimony in the presence of the court and multiple witnesses, and in writing under penalty of perjury, with a Dolezal signature, that Jordan Maxwell WAS their (quoting) "former Momentum Development employee." Contradictorily, in federal case 2:14-cv-04799-GHK-AS, the Dolezal defendants and their lawyer stated in writing that Maxwell (quoting), "was never employed by Defendants..." (SEE Document 30, page 3, federal case 2:14-cv-04799-GHK-AS, document filed 26-November-2014). In further contradiction to these Dolezals stating in court in 2012 Maxwell was their (quoting) "former Momentum Development employee", in federal case 2:14-cv-04799-GHK-AS, Dolezal, MOMENTUM, and their lawyer go on to state that Maxwell and Dolezal and MOMENTUM were NOT even (quoting) "business partners," but rather (quoting) "colleagues" (SEE Document 117, page 6, federal case 2:14-cv-04799-GHK-AS, document filed 23-May-2016). In regards to multiple Jordan Maxwell works registered by MOMENTUM at the US Copyright Office, MOMENTUM is listed as EMPLOYER FOR HIRE. MOMENTUM appears there as "Momentum Developments LLC" (with an "S"). These Dolezals are inconsistent in the spelling of their MOMENTUM company.